These Suorin iShare pods hold 0.9ml vape juice and are perfect for use with nicotine salt juice. To refill your iShare pod, remove the mouthpiece from the top of the cartridge, remove the stopper, squeeze your vape juice into the pod (making sure not to get any into the central airflow) and replace the stopper. If this is your first time filling up your iShare pod, make sure to leave the pod to sit for 10-15 minutes to allow the juice to soak into the wick. Suorin iShare pods come in packs of 3. The Suorin iShare is an innovative refillable pod system that’s perfect for vaping nic salts on the go. Suorin have gained a reputation for being one of the top pod mod manufacturers in the world, and the Suorin iShare is another state-of-the-art addition to their range. Each Suorin iShare Single holds a 0.9ml pod and has an individual battery life indicator to let you know when it’s time to charge. 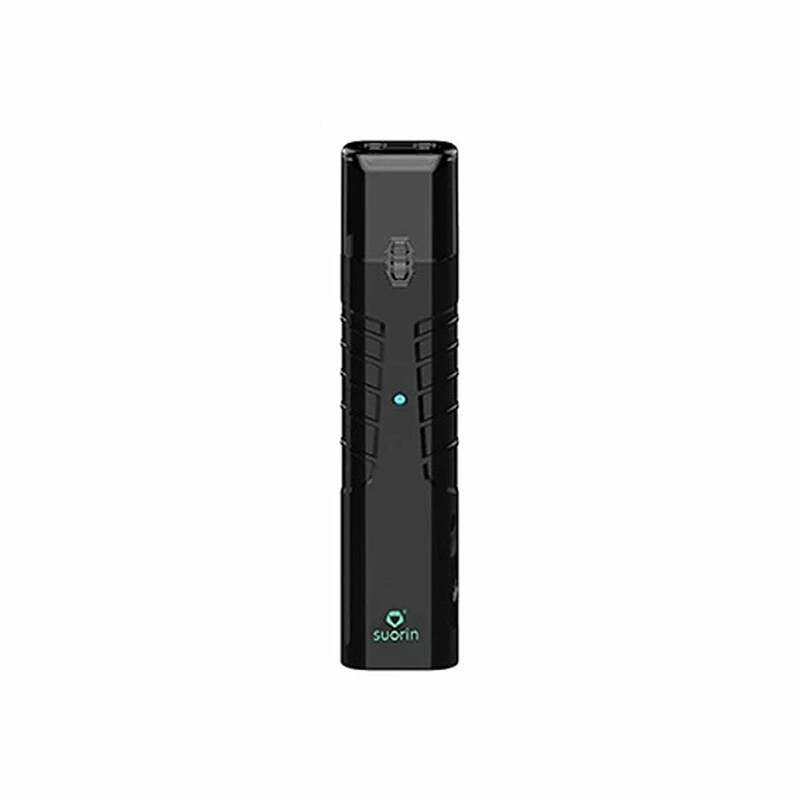 Using the Suorin iShare is as easy as it gets: simply fill up a pod with your vape juice of choice (nicotine salts work particularly well), and inhale on the mouthpiece to vape. When filling the pod for the first time, make sure to leave it to stand for 10-15 minutes to ensure the wick is fully saturated. Despite its compact size, the Suorin iShare delivers fantastic flavor so you can make the most out of your vape juice, and is capable of chucking impressive clouds too! The Suorin iShare pod mod is ultra-slim and perfectly sized for slipping into your pocket or purse. If portability and convenience are what you’re looking for, the Suorin iShare could be the ideal kit for you! The Suorin iShare is available in both plastic and metal finishes, and in a variety of colors. These are terrible! Burnt taste and stop working after a couple days. I would STAY away from these ones. I switched to SMOK Infinix and been using them for the past three months. They are awesome! Overall a great product. Pods could be improved. They need to sit for at least 8 hours before they are ready from what I’ve experienced. Second and third refills have more than a few dry hits. Have to remove the rubber stopper and let it get air for a couple seconds. Battery could be better but for the price and how incredibly small the iShare is, it is a nice product. The flavor on this guy is incredible. Best I've tried so far. And the size- it's cute! And feels elegant. The bad: it seems to overheat VERY fast. After 3 or 4 short puffs it tastes burned, on a brand new coil. The proprietary charging port is BS. Seriously. I've already lost mine so I've got a dead battery and no charger. I'd probably order another one except for the burning after three puffs. Sourin makes some of my favorite pod mods. This is not one.